Let me tell you guys i’m an not a huge meat eater. 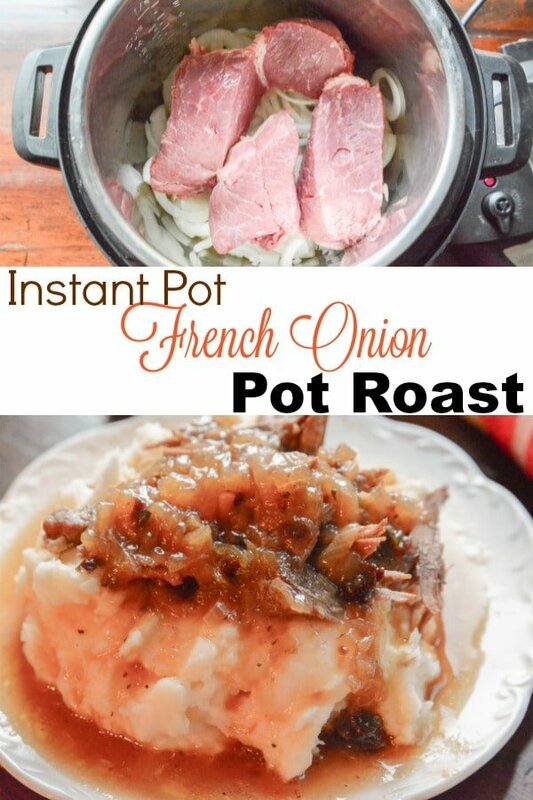 This Instant Pot French Onion Pot Roast is simply amazing! 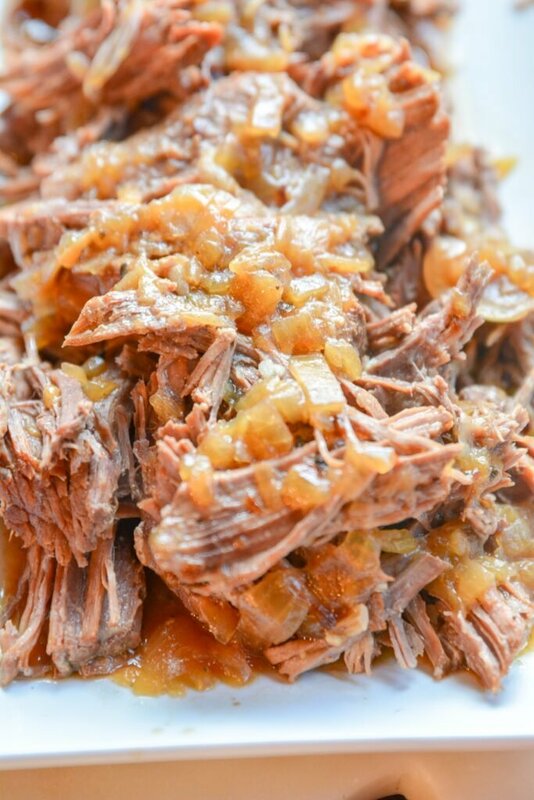 Tender Juicy Beef smothered in French Onions all done in the Instant Pot! Tastes like it cooked all day in a dutch oven but it was a Quick Instant Pot Pot Roast that everyone will love any day of the week. 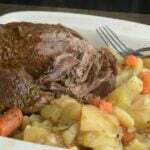 There is nothing like a instant pot pot roast. Done to perfection with tender meat that shreds with the touch of your fork and still full of French Onion flavor. 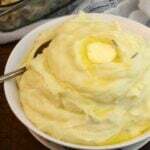 I served mine over mashed potatoes let me tell you it was to die for. 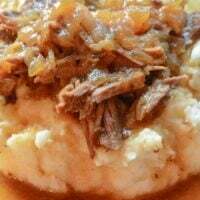 For this Instant Pot Quick meal I did make the mashed potatoes on the stove if you have 2 Instant Pots you can make my Garlic and Rosemary Mashed Potatoes in one when the roast is doing the natural release. I also have the Ultimate Instant Pot Pot Roast that is made with a Red Wine and cooks right with your potatoes and carrots. 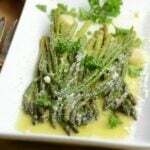 Garlic and Parm Asparagus is another great side dish to go with the Instant Pot French Onion Pot Roast. What makes this meal so good is the French Onions cooked under pressure mixed with the beef broth and the seasoning. 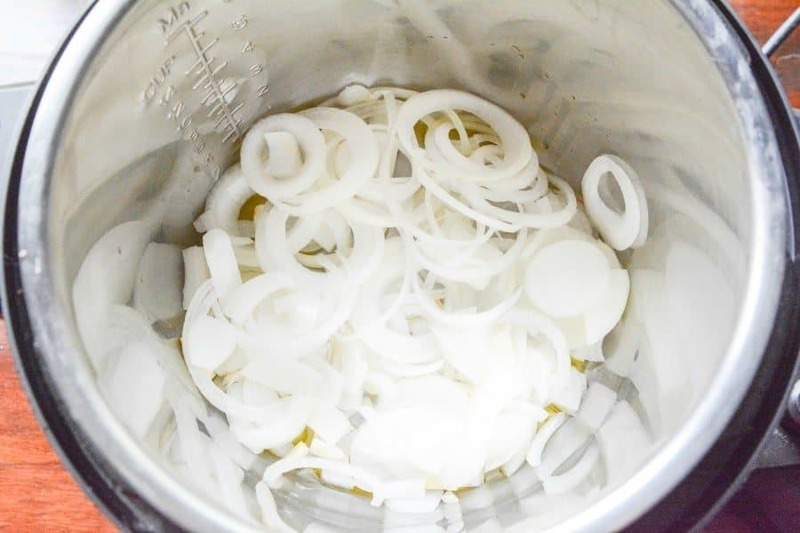 I used 2 very large white onions. I used a 3 pound top round pot roast and cut it into 4 big chunks. You can use any type of pot roast for this dish but the top round i found a great deal on it and could not pass it up. Add in cornstarch slurry continue cooking for 1-2 minutes until you reach the desired thickness. Pour juices and onions over the meat and enjoy! I used chuck roast and it needed an hour and 20 minutes – it was chewy at 1 hour. Still delicious. although I think a little wine and some swiss cheese on top would be even better. This is so good. And I love the idea to make the potatoes in a second pot. You are the best! Alth resonsCNN i did not use as much salt but it was great. Next time i will not forget the bay leaf. I’ve always made pretty good Pot Roast, but I decided to stray from my normal recipe and give this one a try. 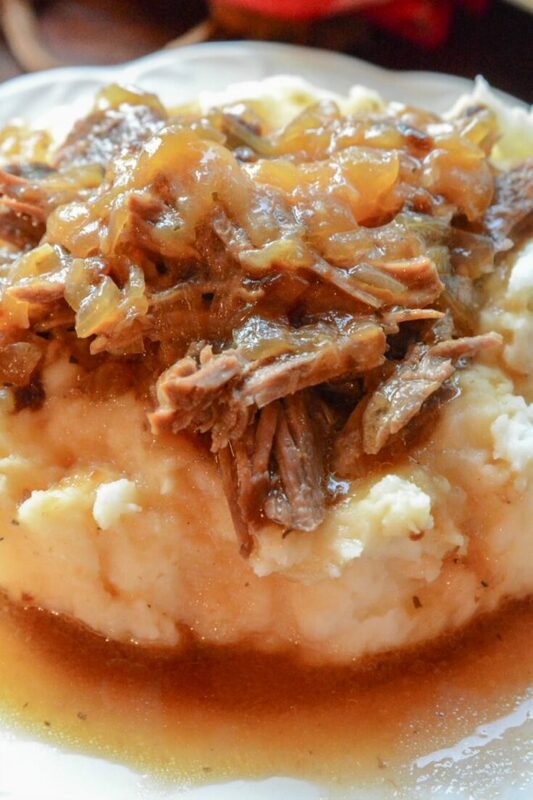 Oh my goodness, this is the best Pot Roast recipe ever! I gave it an extra 20 minutes cook time, like another commenter suggested…it was falling apart as I was taking it out of the Instant Pot. Thank you…absolutely an amazing recipe!